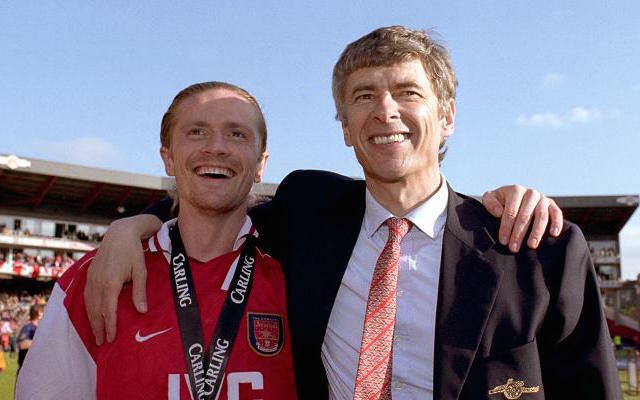 Arsene Wenger is a workaholic who can’t admit when he’s wrong according to ex-Arsenal midfielder Emmanuel Petit. Ahead of the Gunners crunch Champions League tie with Monaco, another of Petit’s old clubs, the Frenchman was typically full of praise for his compatriot and former manager but said if he had one flaw it was his stubbornness. “He’s a workaholic, someone who lives for the job,” Petit told France Football, via Daily Mirror. “He has a passion, almost pathological, for football. He almost forgets to live his own life. He never disconnects. One of Wenger’s biggest flaws according to his critics has been his tactical stubbornness and refusal to change and adapt his team selections for specific opponents. This, however, seems to have changed this season with notable victories against Manchester United and City where Arsenal put on impressively disciplined displays. Rather interestingly, Petit also revealed a strange quirk of the Arsenal boss, likening him to a character from the film ‘The Matrix’. However, Petit said Wenger has always been one of the more personable managers and is remarkably sensitive to his players needs. “Before you are even interested in the football player, he is interested in the individual,” said Petit. “He attaches great importance to human relations. He is very attentive to detail.